This pdf contain all important event of the month. Aspirants must be awared about current affairs of the month. We're thankful to team ExamAttack for this current affair magazine. 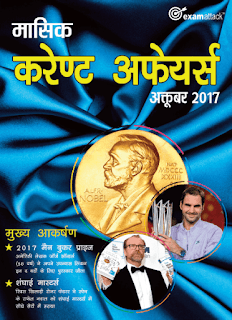 This pdf is in Hindi Language, will be very usefull for Hindi Medium students.